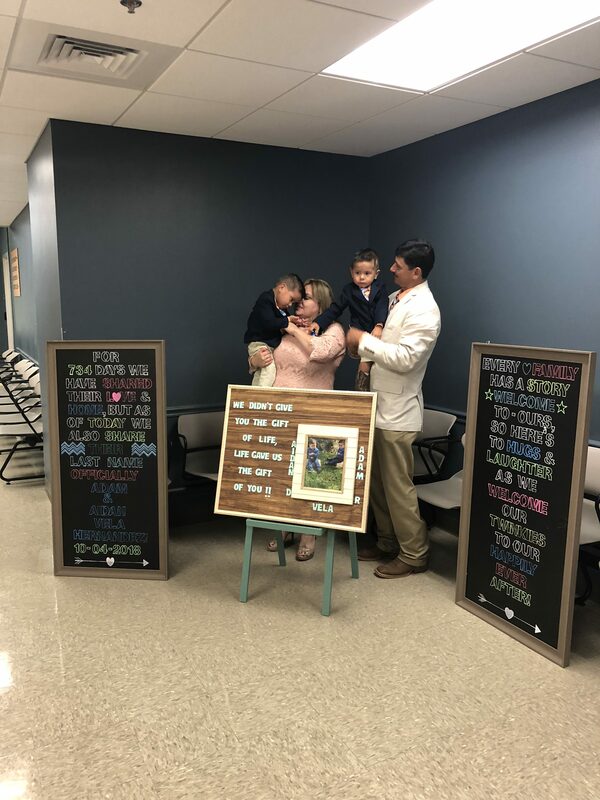 Congratulations to the Vela Family! It was a privilege and blessing to be able to attend the Adoption of Aidan and Adam Vela. The Vela family have really shown that GOD/LOVE is bigger than any problem/ situation. The family has loved on these two children since the day that they were placed in their home. The family fought through all the circumstances that came about and they never quit nor loved the children less. During the adoption, they had support from their family. This is a true story to say that GOD IS GOOD. The children are in a forever home that will love them through the thick and thin. Enjoy these beautiful pictures capturing this beautiful day! The boys were so excited that they did not want to take pictures.